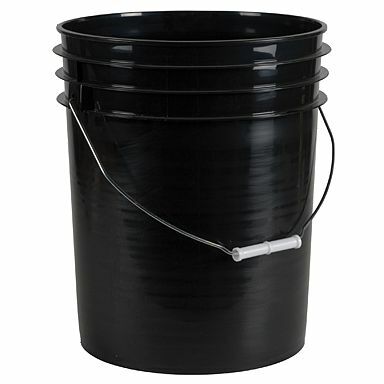 Brand New 5 Gallon Buckets in Black. 360 in stock. $5.00 each. Also have the matching black lids for $1.75 each. Email us sales@gti-inc.com if your interested or call 305-681-5000.